This winter was a very mild one, which means that the tick population this year has exploded. Mild winter temperatures mean more food availability for the animals that carry these ticks, which means that the ticks themselves have more food sources. Researchers are saying that this summer is going to be one of the worst for ticks on record, so it is important to know how to go about avoiding this disease. Before you can effectively go about avoiding Lyme disease it is pertinent to know what it is first and foremost. Lyme disease is a bacterial infection that is transmitted by ticks, which can lead to serious problems if not dealt with in the appropriate manner. 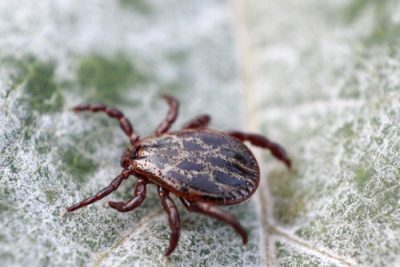 Most people think that if they get bitten by an infected tick, they automatically will become infected with the disease, which is not always the case. Not everyone’s immune system is the same, and many are able to fight off infection if they take the proper steps in order to do so. 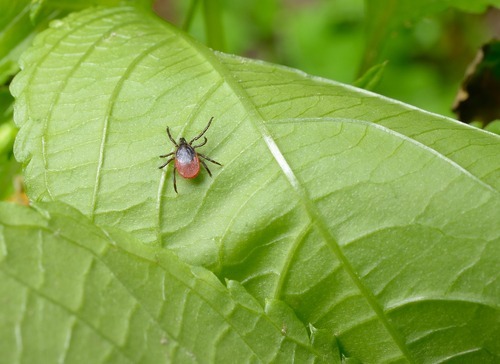 Taking preventative measures beforehand along with being able to properly identify a bite quickly are essential in keeping yourself safe from Lyme disease, so educate yourself before it is too late. If you plan on going camping or going to the beach this summer, plan ahead and bring insect repellant. 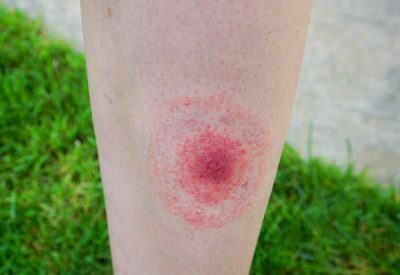 If you know that you are going in grassy areas that are known to house ticks, wear long pants tucked in to your socks to help reduce your chance of getting bitten. Always check yourself after going for a hike in the woods or in the dunes for ticks which need to be removed if seen. You also need to check yourself for bites which can be used to identify an early infection. What Are the Symptoms of Lyme Disease? What Should You Look Out For? Luckily when it comes to identification of the Lyme disease infection, there are a few tell tale signs you can look out for. The first sign you can look for is the bite itself, which is very distinct in that it looks just like a bullseye. Second, shortly after being bitten by an infected tick, the person more often than not will become slightly ill. Depending on how strong the person’s immune system is, this can result in a minor cold or in some cases flu like symptoms. Other less common symptoms some infected people experience are fatigue, joint pain and brain fog. If you are experiencing any of these symptoms especially after you have noticed a bite, you should go to the doctor for a test to determine whether or not you have the disease. If you do find out that you have the disease try not to get too stressed as there are plenty of things you can do to treat the disease. What Can I Do to Treat Lyme Disease? The first thing you want to do when you have identified and infection is to go to the doctor to get a shot of antibiotics to treat the disease. This will help to kill off the bacteria that cause the infection however these medications do not treat the symptoms of the disease itself, like the weakened immune system. Strengthening the immune system is best done by protecting the cells within our body. We can do so through our diet, and also through the help of supplements. Keeping our cells healthy keeps them strong and more resistant to disease, and our body needs certain nutrients to do so. There are certain vitamins and minerals you need to be getting in order to keep your cells healthy. Vitamin D, B vitamins, magnesium and omega 3 fatty acids are nutrients in particular you want to look for. You could get all of these things from your diet in theory, however if you are infected you want to get a high concentration of all of these nutrients. Doing so from food alone is extremely difficult if not impossible for most people depending on availability and access to these foods. The easiest way to solve this issue is to take a multivitamin that has these ingredients and a fish or krill oil supplement to get those omega 3 fatty acids. Ultimate Man by Men’s Healthy Lifestyle is a multivitamin that has everything that you need to keep your immunity functioning at an optimal level which will help you fight off the symptoms causes by Lyme disease.